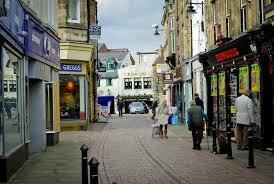 Is more shops in Hexham good or bad? The Hexham Bus station story continues. Now the bus station is to be sold for retail or a mix of retail and residential development, which is not clear at this stage due to “commercial confidences”. The town’s people of Hexham are once again ignored and the County councils agenda is being set by short term financial gain and not long term sustainability. The town council was informed at the last meeting that the site would provide 200 jobs with 3 million pounds. This figure seems a bit far fetched. 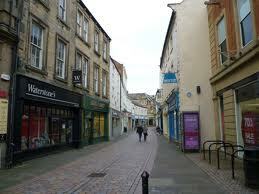 This would be at the detriment of the existing town centre shops which makes Hexham distinctive. The same effect can be gained by Hexham residents increasing their spending by £5 per week in local shops. I have not included added value due to the Local Multiplier effect when money spent with local retailers circulating around the local economy as opposed to national retailers removing money out of the area. The figure of a five pound spend has already been supported by Transition Network, and local groups Matlock, Belper, Totness and Brixham under the banner of the Total Locally campaign. As a member of Transitional Ttynedale I support the strengthening of the local economy via distinctive local shops rather than more chain and multinational stores. The Grimsby Review (2013) An alternative view of the national High Street, states that “The overall picture this analysis paints is of a high risk, low reward sector with almost 50% of all retail companies at risk of insolvency”. Therefore the risk to the county is high as the level of default of retail business rates is increasing. The BCSC, a respected educational trust researching the retail sector, and the Office of National Statistics, have predicted that a 20% fall in retail space will happen over the next 5 years. We need to protect our Hexham High Street shops by encouraging more homes in the town centre which would increase footfall in a more sustainable way. All this in the light of 4 national chains coming to Hexham within one year. Is the county council going to put conditions on the sale of the bus station site to ensure the long term viability and sustainability of our town centre by insisting that the development is only for residential? Or is short term gain being sort at the expense of our vibrant, unique town centre shops. Comments on more shops or well suported shops. I think we should support existing shops. I also think the bus station should stay where it is. If houses are to be built, please leave space in front of them With Iceland we lost an attractive frontage and a small but important recess. Let us not allow this to happen again.